Following extensive coverage at this years Gamescom Motiga announced the launching of Gigantic’s Closed Beta for this past weekend and true to their word the developers launched Gigantic‘s Closed Beta Friday, August 28th. The initial Alpha tests saw the invitations limited to tens of thousands of testers but following the games transition to Closed Beta, the developers have been able to extend these invitations to hundreds of thousands. This means a huge influx of new players and a more robust testing schedule that will allow the developers to gather extensive feedback on the games state and development process. The Closed Beta for Gigantic is now underway on Windows 10 and Xbox One and will be available every weekend until the game nears release. 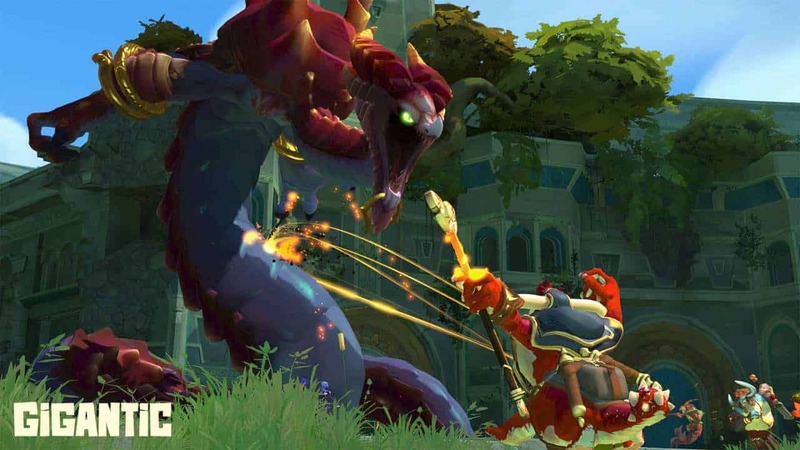 More information on exact times and details that the servers will be live will be announced each weekend, with the developers also hoping to launch a number of special events aimed at introducing players to the world of Gigantic. If you’re interested in participating in the Closed Beta event but have yet to sign up, head on over to the official website to register your interest for a chance to play.